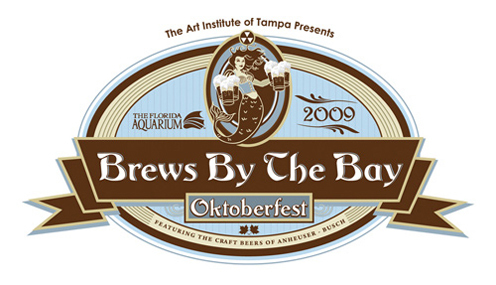 Jerm is back today with your second chance to win two tickets to Ocktoberfest Brews by the Bay 2009! this Saturday at The Florida Aquarium! I thought I stumped you guys yesterday with my question, but someone answered it within like 5 minutes of me posting, so that means I guess I have to make it a bit harder. Now as I was saying yesterday, there will be plenty of food from local vendors, live entertainment, great exhibits, and 35 unique craft beers from all over the world. So I can guarantee you that you will have a good time at this one folks! Now in order for you to win, just follow these quick and simple rules below. Now, keep in mind that if you don&apos;t win today, that&apos;s no excuse for you to miss this great Tampa Bay area events like this, so hurry up and get your tickets! The Florida Aquarium Center for Conservation has three divisions. Name them. Sharks are very sensitive to capture and handling stress. This is partly due to a shark&apos;s low capacity for aerobic metabolism under duress. When stressed, sharks quickly switch to anaerobic metabolism, building up an excess of of this type of acid? Okay so if that one doesn&apos;t stump you then I don&apos;t know what will. Remember if you have won within the last 30 days then you are not eligible to win this go round, but are welcome to guess the answer. Happy guessing and stay tuned for more fun trivia giveaways from Jerm!